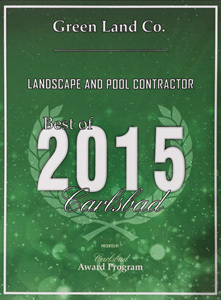 Over the past 30 years Green Land Co. has built a reputation as one of the most sought after and trusted landscape and pool contractors in San Diego County. 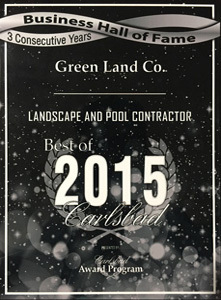 Green Land Co.’s mission is to offer the highest quality service in tune with our clients’ needs and budgets. From inception to completion, whether remodeling or starting from scratch, each project is designed and honed to achieve the product our clients desire. Green Land Co. is also committed to the long-term care and refinement of its installations and offers long-term maintenance and repair service. We are of course licensed by the California Contractors State License Board (License No. 616929). 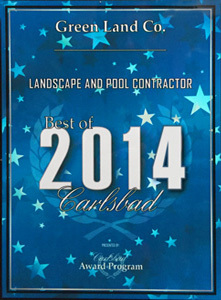 We are based in Carlsbad, California. 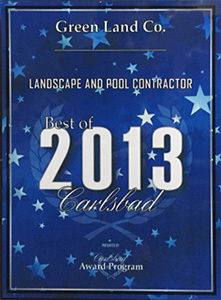 Over the last 30 years, we’ve worked on projects throughout San Diego County.